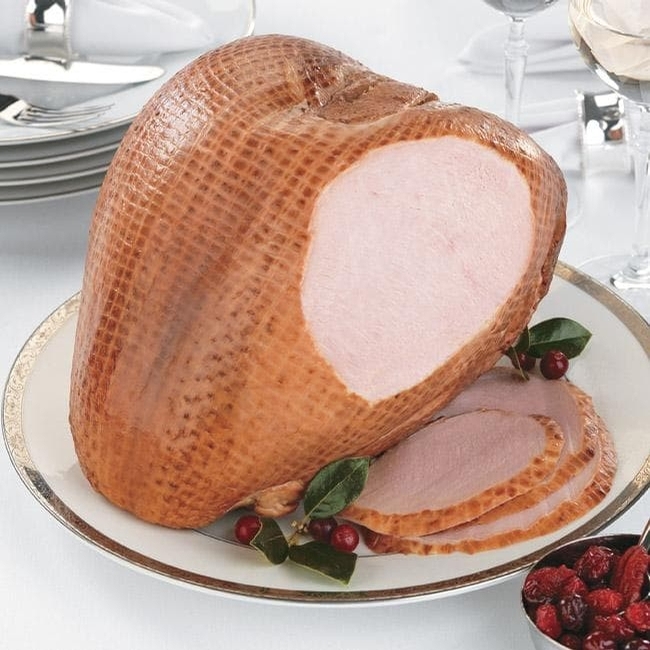 Harrington's Turkey Breast has long been a customer favorite. You get slice after slice of perfect white meat, with our signature Corn Cob Smoked flavor in every bite. These fully-cooked extra-plump bone-in beauties are an impressive centerpiece on any buffet and make marvelous sandwiches, especially when served with a dollop of our Brandied Cranberry Sauce. We like this turkey breast when served at room temperature. Bone-in Turkey Breast, 6 - 8 lbs.